The color scale of a natural colorless diamond is graded from D - Z. However, close to where the colorless scale ends, the fancy color diamond scale begins. 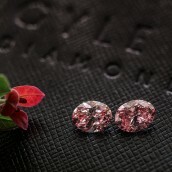 In fact, "Cape diamonds", which are stones that fall within the X- Y– Z range of the colorless scale, contain quite noticeable traces of yellow or brown color tones. This is actually the beginning of the Fancy Yellow Diamond and Fancy Brown diamond color scale. Fancy Yellow diamonds (otherwise known as Canary diamonds) and Fancy Brown diamonds (otherwise known as Cognac or Champagne colored Diamonds) are the only color diamonds that start from within the colorless grading scale. 4th row:Green Yellow, Grey Greenish Yellow and Greyish Greensih Yellow. Due to both rarity and beauty, fancy yellow diamonds have more recently been used as the center piece of some of the most breathtaking engagement rings. Every woman wants the ring of their dreams, and most would like to have the ring of everyone else’s dreams as well. 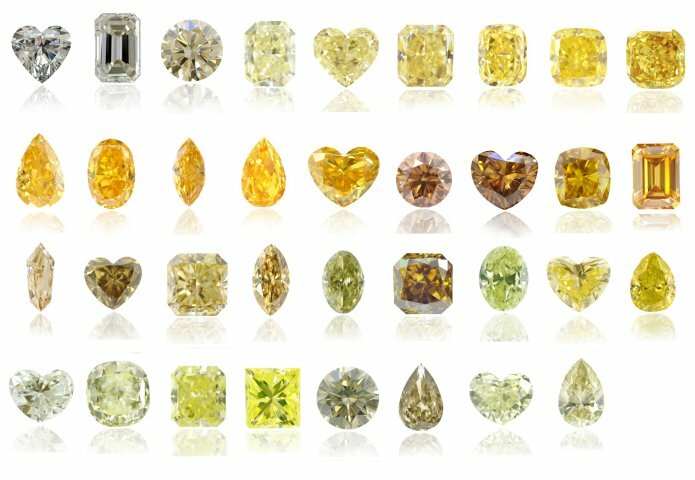 Natural fancy yellow diamonds have the ability to be far more alluring than the everyday colorless diamond engagement ring, especially since they are so much more unique. As a result of their abundance in nature, fancy yellows are quite reasonably priced, yet still astonishing to look at especially when set in a beautiful engagement ring. Leibish & Co.’s in-house jewelry designers have mastered through both experience and creativity the ability to create some of the most unique and alluring fancy yellow diamond rings. When designing the ring, the diamond is placed into a cup (or bath) of yellow gold. Setting a fancy colored diamond is not nearly as straightforward as setting a colorless stone since the ring itself is designed around the color of the diamond. 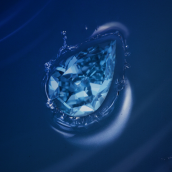 Leibish & Co. initiates a 3-dimensional scan on every diamond in order to custom design the cup for each stone. The color reflects through the diamond, actually increasing the face-up color of the diamond by at least one intensity grade.